If you still do not know where to leave for october holidays, you will be pleased to discover our dream destination: Marrakech. While French ex Miss Universe Iris Mittenaere just came back from her trip in Villa Taj Marrakech last July, Villanovo invites you to discover Moroccan authenticity for your next holidays. 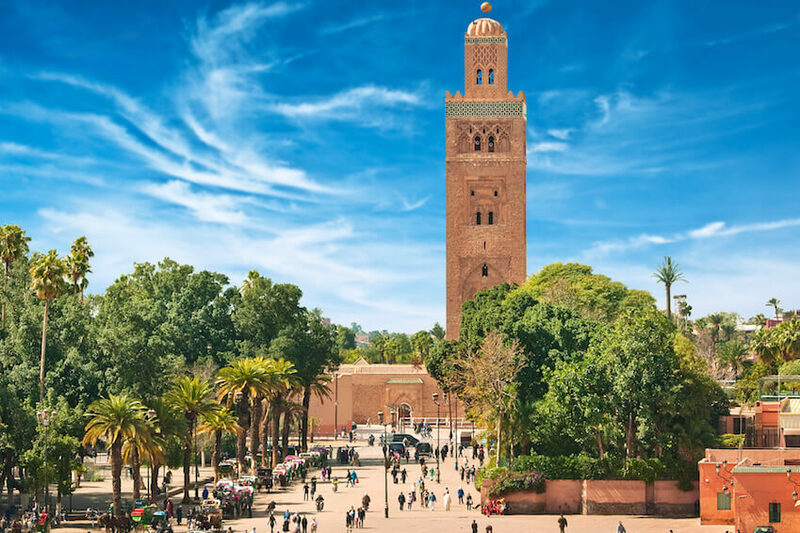 City of hidden treasures and rich historical heritage, Marrakech seduces tourists from all over the world thanks to its authenticity and its bright colours which gave it the name of the Red City. Also known for the warm welcome that the locals hold for tourists, head to the discovery of people with great generosity and a unique culture. Follow the delicious smells which emanate from local markets, let yourself be charmed by the sumptuous African landscapes and pamper yourself thanks to traditional wellness areas of the city...With nice temperatures and after the high season, taste the charm of the Red City for a luxury off the beaten tracks with your loved ones. If the cultural heritage of the country is internationally well-known, traditional markets are a major part of the culture of the city. 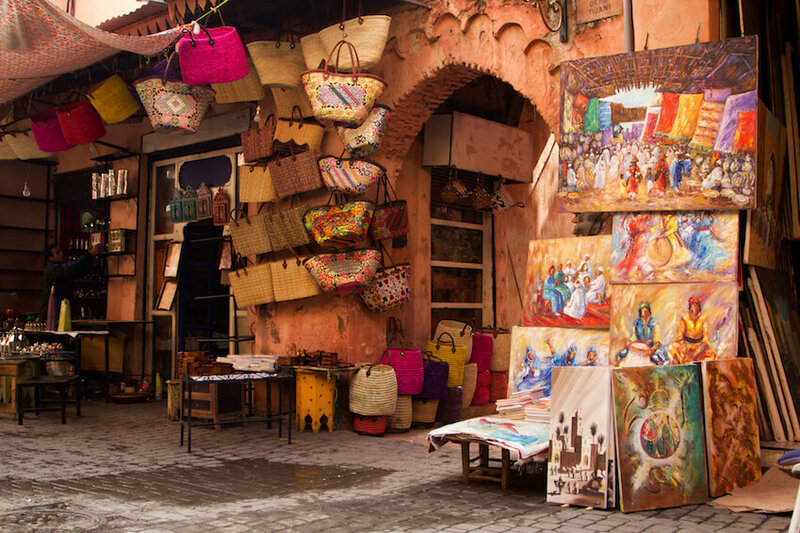 Delight yourself with the tempting aromas of Morrocan specialties, admire the colourful fabrics and do your shopping at unbeatable prices in the souks… If you have a precise itinerary, know that a day of exploring the markets might bring you to other unexpected discoveries. Surprised by a snake charmer in the corner of the street, attracted by ancient furnitures in a souk, absorbed by the several donkey-carts or amazed by a seller of magical remedies, it is outside that the charm of the Red City operates. Art enthusiasts, you will probably end up the souk with a magnificent carpet under the arm. You will also get the chance to visit the famous galeries or to go to the festival of the meetings and soufies music, which aims to highlight the cultural and spiritual identity of Morroco and takes place from the 24th to 28th October. You will also find on the spot various activities and events, such as concerts, which will please your whole family. For the ones who are more curious of trying local specialties in a typical environment, head to Jemaâ el Fna, in the evening, to taste to the delicious meals of cooks who set up with their grills just like musicians with their instruments. After having savoured a traditional Tajine, finish on a sweet note brought by a traditional mint tea, a specialty of the country. Don’t forget to listen to the storytellers on the spot, this daily renewal of urban legends gave to Jemaâ el fna the title of “masterpiece of the oral and intangible heritage of humanity” by UNESCO. October being the perfect month to visit the tourist capital, ambient temperatures between 20 and 25 degrees will able you visit these natural spaces which give to Marrakech this incontestable and unique charm. Among the not-to-be-missed spots, there are obviously the famous mountains of Atlas and its Mont Toubkal, second highest African peak. Although located 63km in the south of Marrakech, nature lovers will be amazed by incredible mountainous landscapes to admire from the heights. Sport lovers, you will get the opportunity of having great hikes and trekkings, with a guide or not, according to your choice. If you like green spaces, Majorelle gardens and the Menara will fill you with happiness. You will indeed be surprised to learn the history hidden behind the Majorelle Garden. Created in 1924 by the painter Jacques Majorelle, Yves Saint Laurent, charmed by “this oasis where colors of Matisse are combined with the ones of nature” during its discovery in 1966, decided to offer it to the city of Marrakech to thank the city for having adopting him in 1964. The creator and its associated Pierre Bergé then bought the blue villa and its garden in order to protect it and open it later to the public. Today, the Majorelle garden is a magnificent botanic garden of 3000m2 which make locals proud. Regarding Menara, it is a vast garden of olive trees from the dynasty of Almohades which is waiting for you. Located 45 minutes by foot from the place Jemaa el Fna, the beauty of the place is really worth it. 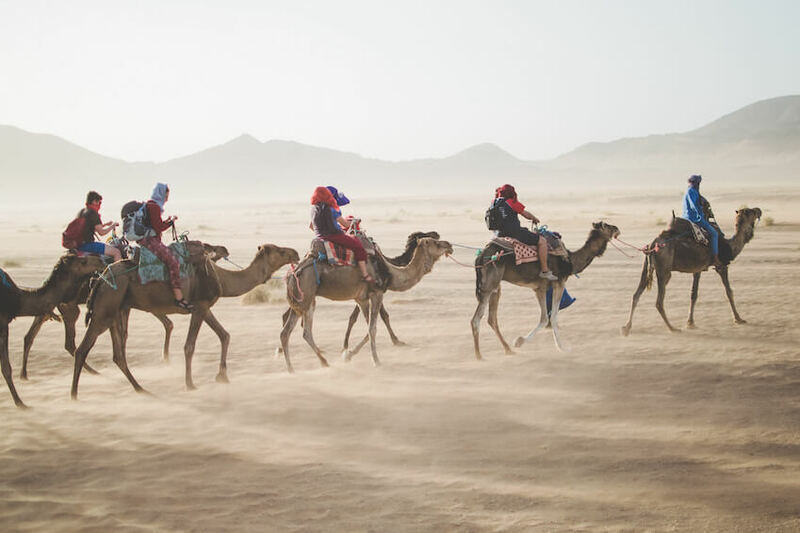 At last, it is impossible to talk about Marrakech without mentioning the palme grove of Marrakech and the possibility of having a ride on a camel’s back. 10 km away from the center, the palme grove has more than 10 000 palm trees planted during the Almoravide dynasty on a 13 000 hectares’ domain. Keen to learn more? Discover our article about the palme grove of Marrakech. If you might have heard about luxury spas and hammams in the city, why not try it? 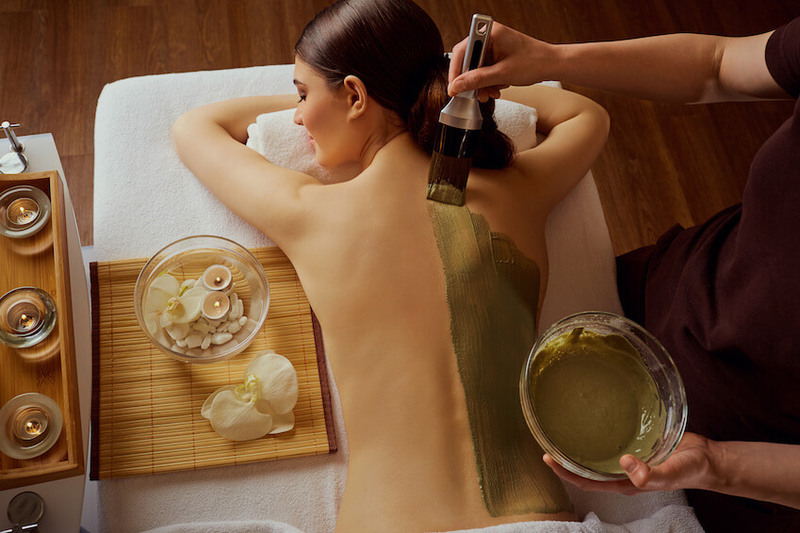 Indulge yourself with traditional body care like you have never seen. Whether it is thanks to a professional house staff inside the hammam or the spa of your villa of outside in a private hammam, enjoy the Moroccan know-how to chill and fully enjoy your family vacation. If it is also possible to go to a public hammam, cheaper and more ecological, but the private ones offer you the luxury of intimacy: some are for example reserved for couples. Ladies, know that wrapping with gasshoul is a traditional and purifying technique which will be available to you. If the black color of the soap could dissuade some, the method is authentic and is part of the common body care of Moroccan women. Whatever your choice is, think of reserving before, as hammams usually need 2-3 hours to heat. With a wide variety of massages, enjoy the pleasures of the traditional moroccan one in the luxurious beauty salons in Marrakech. Where everything is all luxury, calm and voluptuousness, let yourself tempted by this moment of intense well-being with some of the greatest masseuse in the world. You will also get the possibility to taste international massages such as the Swedish one, very appreciated by tourists for the depth of his moves. At last, for the bravest, try the oriental wax! Efficient, precise and cheap, you will be proud of your very soft skin afterwards. 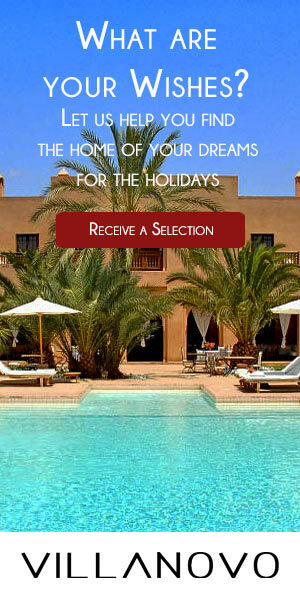 >>> Head to Morocco in a stunning luxury villa!